Posted by Cary W Porter on Tuesday, January 8th, 2019 at 9:10am. Our past "Rookie Of The Year" never had a real estate license before joining The Cascade Team and completed 121 transaction his first year! We will literally show you step-by-step exactly how and what to do so this can be YOU next year! Every month The Cascade Team provides professional training in our agent support center. Certified clock-hour instructors provide you FREE clock hour classes on topics ranging from: Purchase and Sale Forms and Addendums, Title Reports, The Escrow Process, Creating High Performance Client Relationships & More! We also offer Engaged Marketing classes, designed to help take you to the next level! This is the class that will show you step-by-step exactly how one ex-Re-Max agent came to The Cascade Team doing 5 deals a year and how he has now done 100+ transactions a year for 3 straight years. How a Windermere agent went from 6 transactions to over 120, and how rookie agents with no experience do, 30 to 50 transactions their first year and make $300,000 to $400,000! 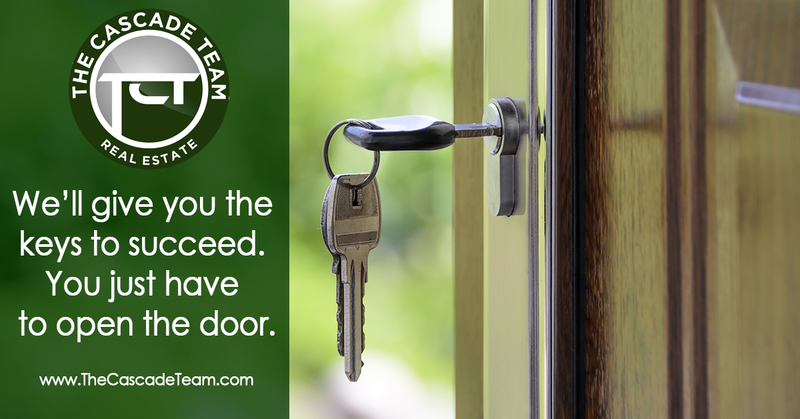 While most brokerages will try to sell you what you need to succeed, we believe in providing our agents with these tools. We offer leads, mentoring, Certified Transaction Coordinators, monthly training sessions, 24/7 Managing Broker access, complete marketing support and much more--all for a 1% listing fee! 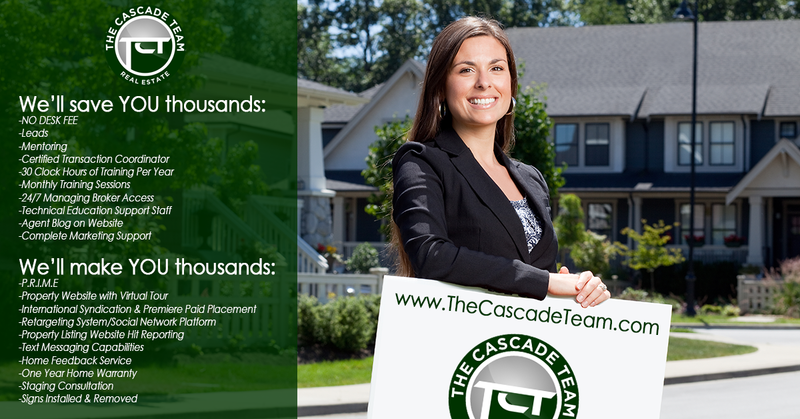 Place listings on the NWMLS and The Cascade Team website. Your Professional Stager is there to work with homeowners before listing and help get them ready for being active. They can also help with New Construction to pick out colors and options, and much more! 24/7 Broker access. If you have a question, want a second opinion, or need any assistance whatsoever, we’re here for you! Shannon Woodcock went from 6 transaction at Windermere to becoming the #1 Ranked Broker by transactions for Woodinville ! And countless other success stories like these. The Cascade Team has 20+ offices in 7 States including 13 offices in Washington including Seattle, Issaquah, Woodinville, Tacoma, Spokane, Sammamish, North Bend, Vancouver and more!